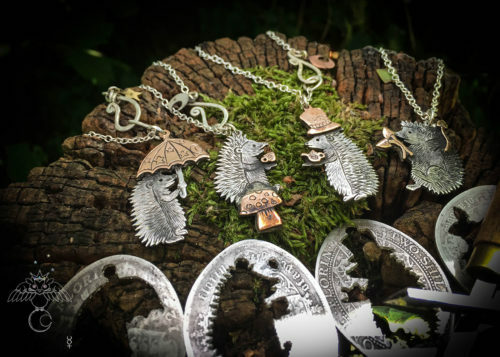 The Hairy Growler Jewellery Co. Woodland collection. 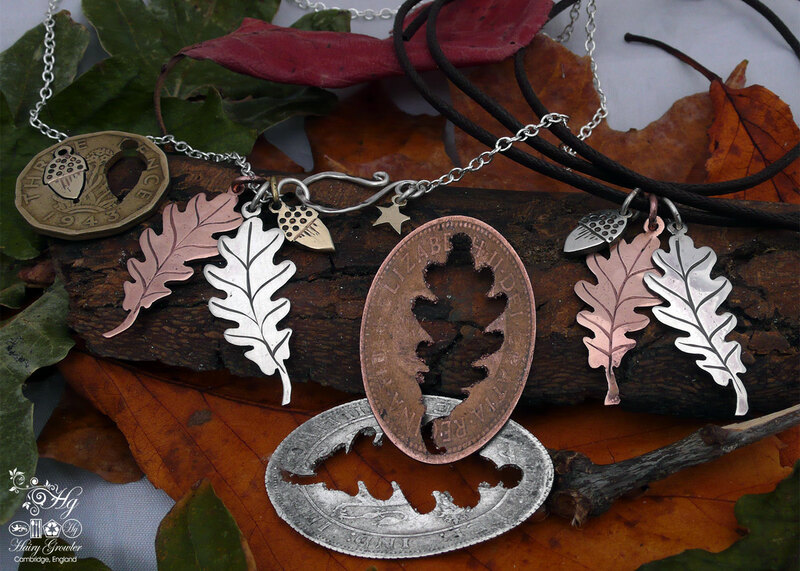 Original, artisan, Oak leaves, leaf and acorns silver necklace. 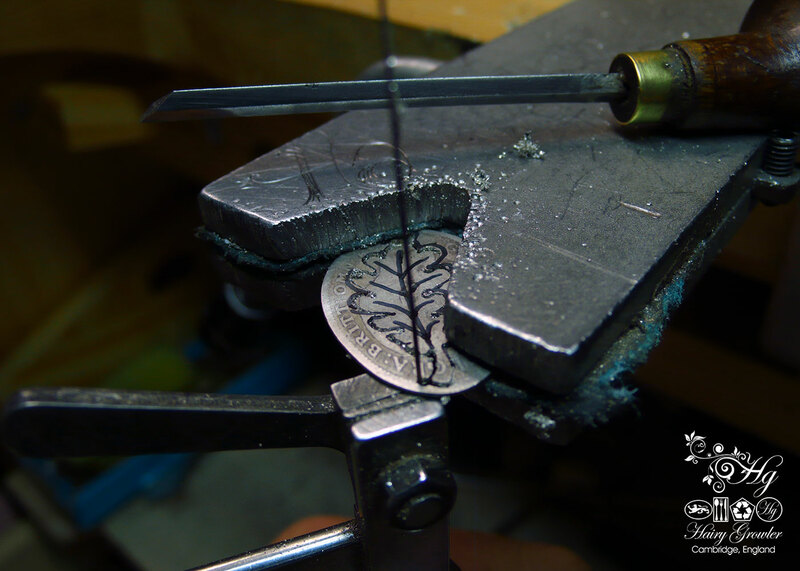 Eco-conscious, eco-friendly, ethically responsible, handmade and totally lovely silver jewellery. Lovely colours, sweet, crisp air, you can start to see your breath….. 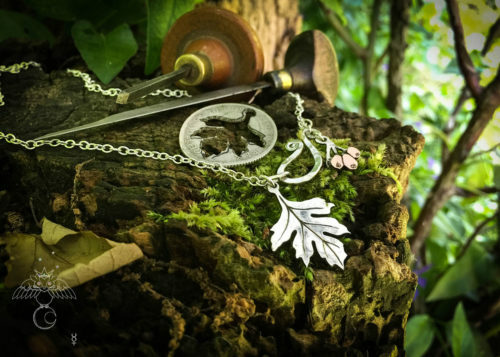 Throughout history the Oak tree has represented strength and power. This is perfect as it means that these lovely, aesthetically pleasing symbols of nature and natural beauty also have added strength. 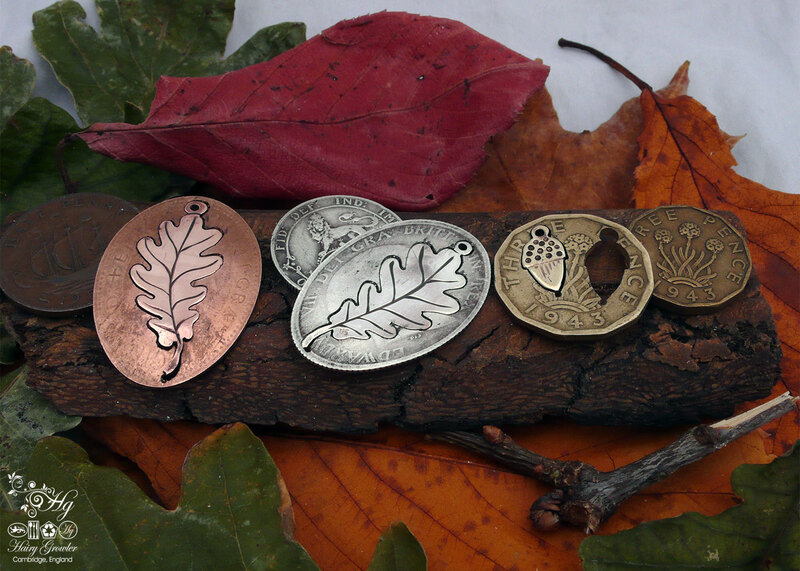 The oak leaves are cut from an old English half pennies and silver shillings, whilst the acorns are cut from an old ‘Thrupney bit’s’. perfect for autumn and spring. Handmade and completely recycled. As they are made for you in Cambridge at the Hairy Growler workshop you are welcome to do the ‘switcharoo’. Please feel free to select the leaves and acorn(s) from the selection below. 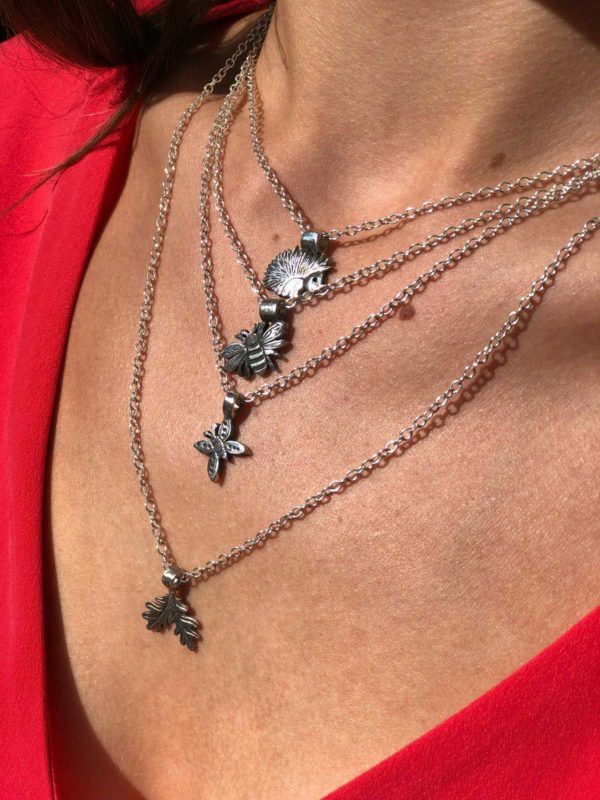 If you are looking for a necklace for a loved one, selecting two silver leaves is perfect for sharing. Each set is totally unique and individual. 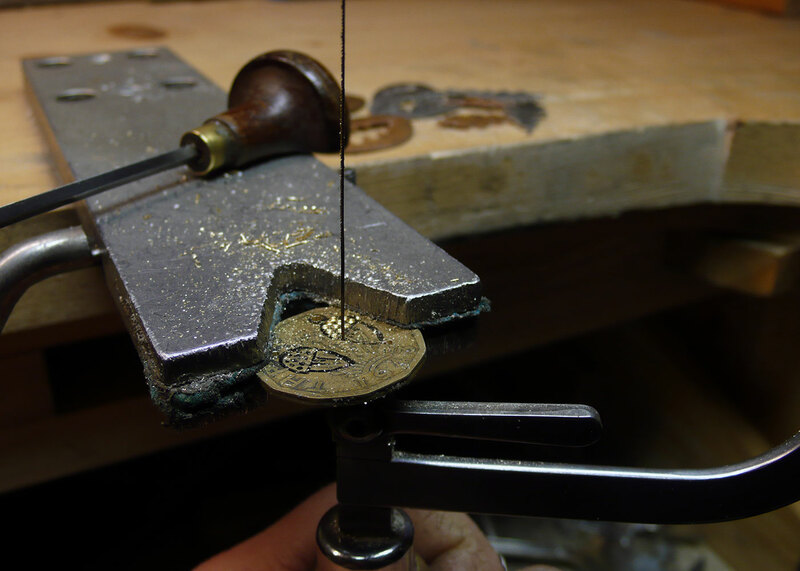 Every leaf comes complete with its ‘off-cut’ which serves as a lovely object of interest, reminding you of the green, ethical and historical origins of your lovely necklace. 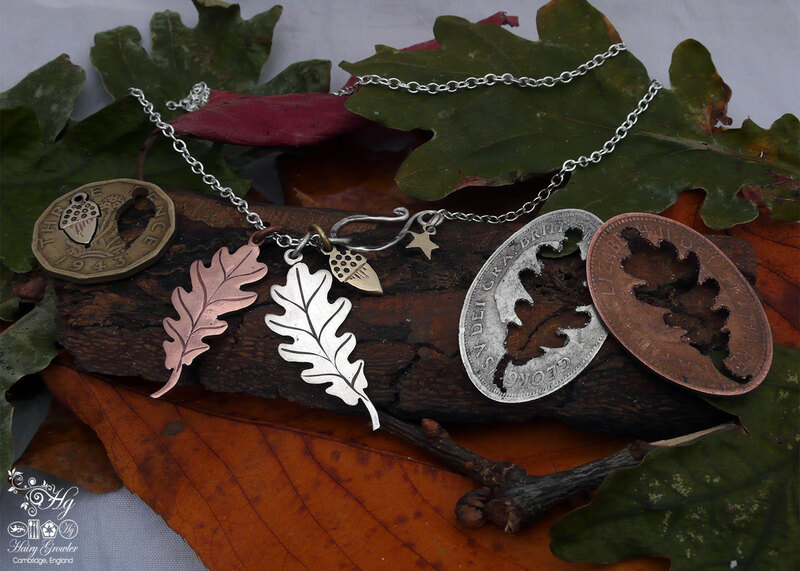 You are welcome to choose to select a personal Initial on the reverse of each leaf and acorn. 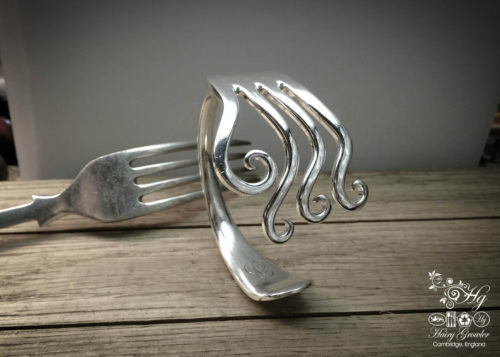 I was lucky enough to be bought a lovely set of these by my husband. 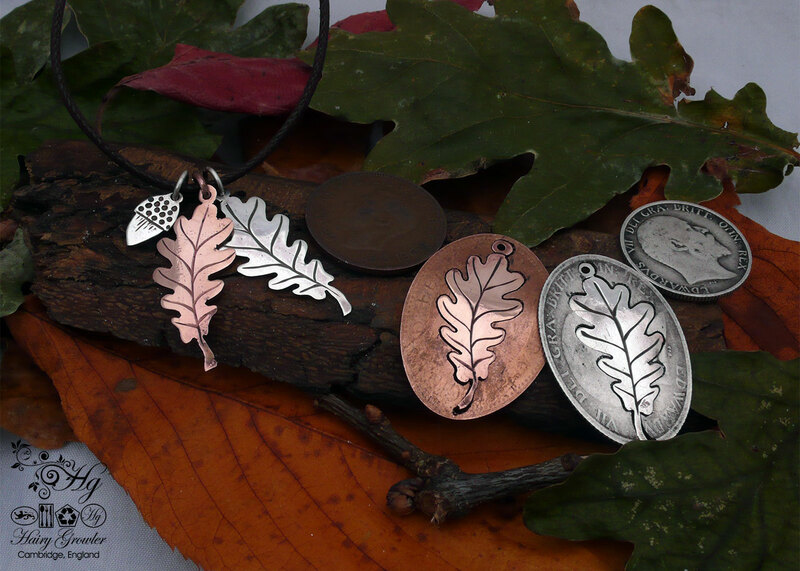 He thoughtfully chose a silver leaf to represent me and the copper leaf himself. The three acorns are our children. I cannot tell you how much this means to me! I absolutely love it. I never normally have the time nor inclination to leave a review but on this occasion i just had too. 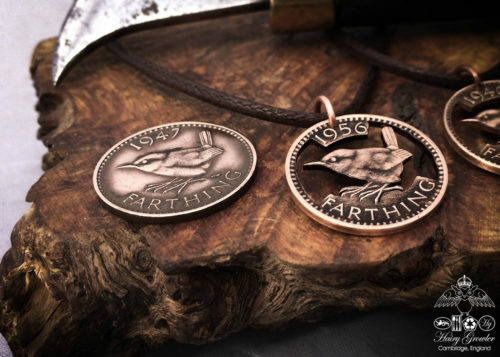 Thank you for making such lovely green and ethical jewellery. x Ally C.
A terrific piece and wonderful gift! I received this piece from my sister for my 40th birthday. When I was born, my Grandmother planted an Oak tree in celebration of my birth and the tree has come to symbolize many things for me. With two oak leaves and two acorns, this is the perfect representation of my family. I love the intricacy of your work, as well as the uniqueness of your ideas! Thank you. I brought this as a birthday gift for my mum and she absolutely loves it! The little details are amazing. Plus I left it a bit late ordering so dropped The Hairy Growler a message and received it in just over a week! Wonderful product and even better service. I’m sure my mum will wear it for years to come. I recommend you to anyone who want something gorgeous and unique! 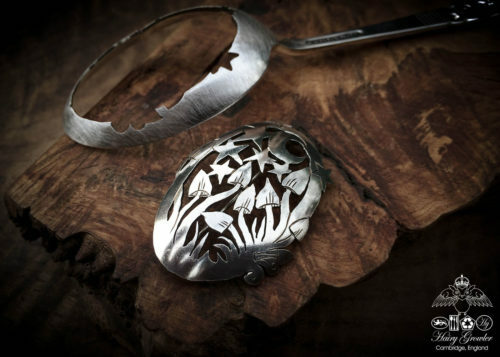 An exquisitely detailed piece that is beautifully symbolic of new life, optimism and hope. 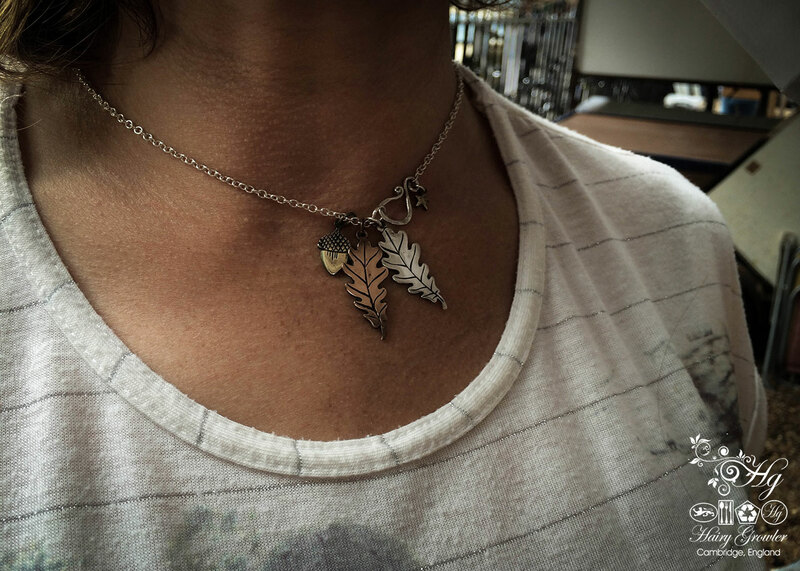 I had this as an autumn birthday present. It is exquisitely detailed and to me is beautifully symbolic of new life, optimism and hope. 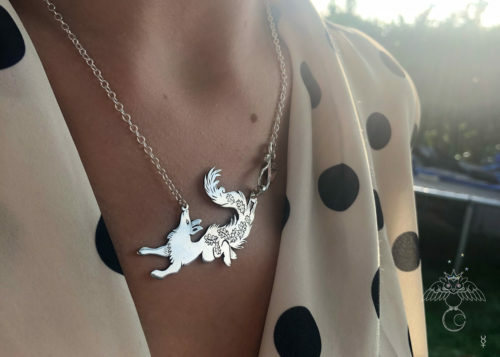 I love wearing it and, here’s the very clever bit, because of the three colour metals that add such delicious interest to the piece, I can wear it with silver or gold earrings or other accessories. It goes with everything . . . And gives joy and positivity on any day of the week! This is a must, a real eye opener. Need I say more! 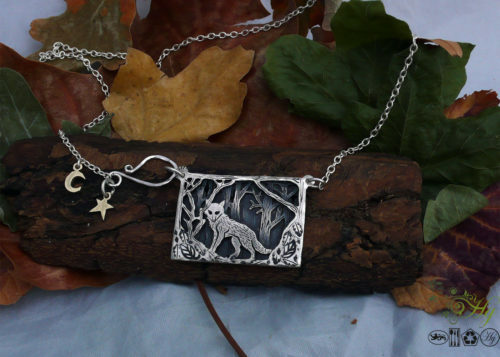 I have one of your necklaces, and I’m going to get another asap, beautiful work, always asked about when worn, much admired by jealous friends. absolutely love your work. This is just perfect for the fall time of year especially where I live in Florida, USA. We don’t have change of seasons here. It is hot, hotter, hottest and cool (if we are lucky)! It’s like you have pulled together autumn and winter in three beautiful charms! 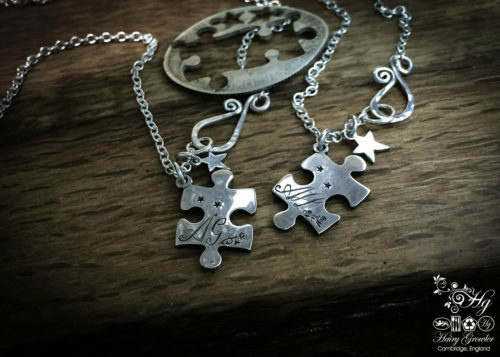 Absolutely adore this piece – the different tones compliment each other beautifully! 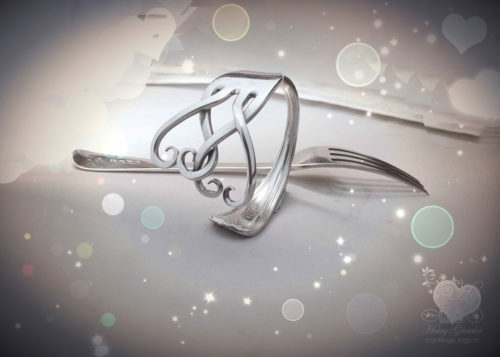 Bought as a Christmas present for my wife,a lovely piece of jewellery. Beautifully crafted, this hasn’t been removed since it arrived! A most treasured item from a true artist. My daughter had seen some of your work before and requested this for her 30th birthday. She was so pleased with it, especially with her name Emma engraved on the back. 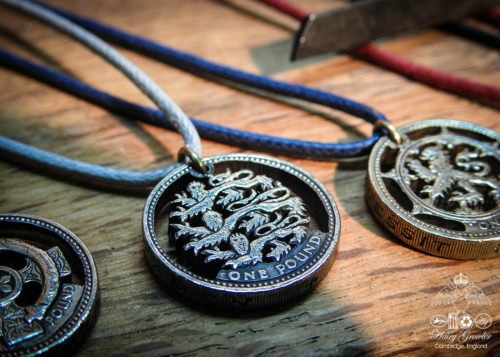 The silver and the bronze complement each other, and the way that the pieces have been cut out of the coins is fascinating. Thanks for your creative work which is being much appreciated. 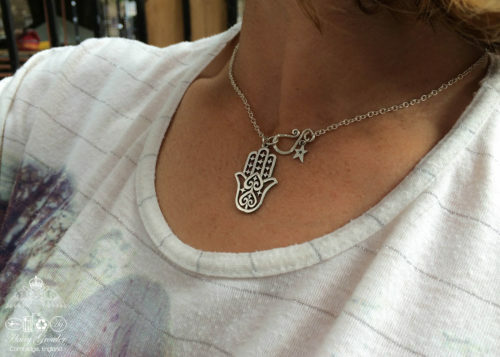 I bought this gorgeous necklace as a gift for my daughter. 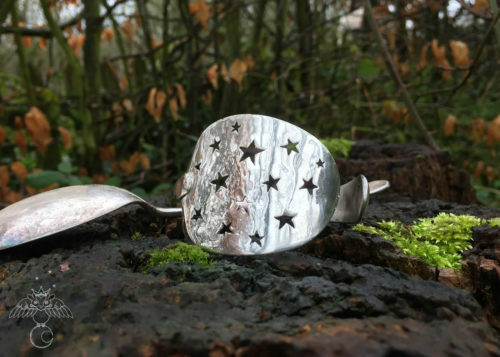 She loves Hairy Growler jewellery, and is the proud owner of a chunky silver ring made from a spoon handle, so I know she will adore the necklace. That’s if I don’t change my mind and keep it for myself of course, which I am sorely tempted to do! Wonderful workmanship, great artistry, and completely unique.